Mohit'sCopra Cutter are used to cut the copra into small chips, before the same isbroken into very small pieces in a hammer mill for further oil extraction purpose. We offer copra cutter machine and industrial copra cutter on reasonable rates. 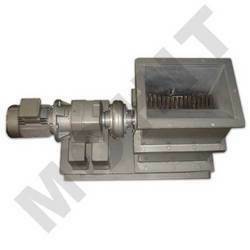 Mohit's Copra Cutter Machine is used to cut the copra into small chips before the same is broken into very small pieces in a hammer mill for further oil extraction purpose.